Following the announcement of Vitech and Voiteq North America unifying under the global brand of Voiteq, visitors to ProMat 2019 will be able to meet the world’s largest team of voice specialists, as they demonstrate an impressive portfolio of intelligent voice solutions. The combined team confirms Voiteq’s position as the market-leading specialist in voice-directed work in distribution, retail execution, maintenance and inspections; offering a local service on a global scale. With offices in the U.K., U.S., France and Germany, and strategic partnerships in the Asia-Pacific region and South America, it has become the industry’s voice provider of choice. By 2024, the global logistics market will reach $15.5 trillion (up from $8.1 trillion in 2015). and To support this growth, businesses need to adopt new technologies and remain flexible. Integrating voice into warehouse operations enables supply chains to overcome the continuous market challenges of differentiated customer service, efficient operations and a healthy bottom line. 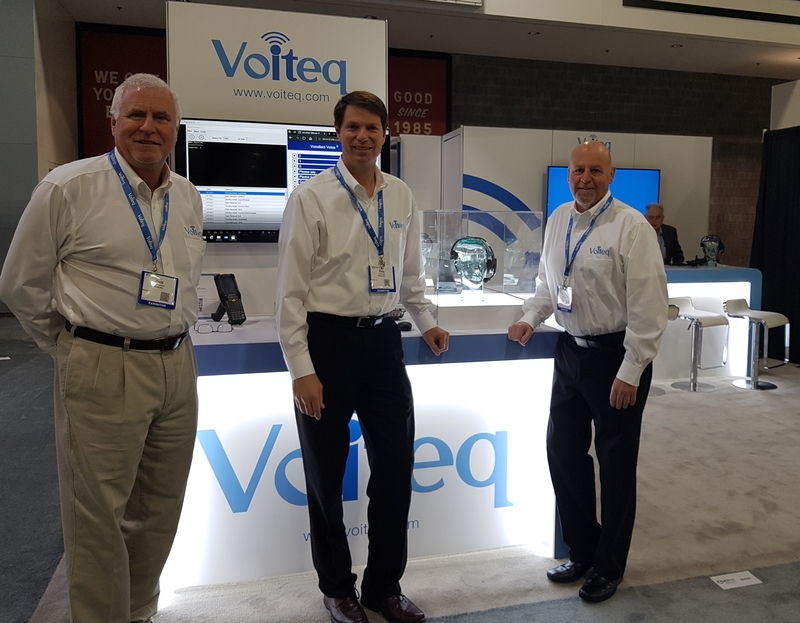 The Voiteq team is once again returning to ProMat to showcase their voice solutions, currently deployed in some of the world’s busiest distribution centers. Visitors to Booth S3673 can explore Voiteq’s solutions and see live demos including VoiceMan Screen-to-Voice, which quickly and cost-effectively adds voice capabilities to existing screen-based shop-floor processes. Additionally, visitors will be able to view the CLASS Visualizer, developed in collaboration with sister company Cirrus Logistics. Visualizer integrates directly with Voiteq’s voice applications and connectors to display location and operational information for each voice associate in an accurate 2D or 3D view of the warehouse. Heatmaps highlighting slotting opportunities or locations with high error counts provide valuable information to managers and supervisors, and historic activity can be replayed to aid training and troubleshooting. Voiteq has over 18 years’ experience with voice-directed solutions across all warehouse processes and is extending into retail stores and inspection markets – improving business operations, enhancing the user experience, and supporting industry growth.